Firefighters ensuring that the fire is completely put out. 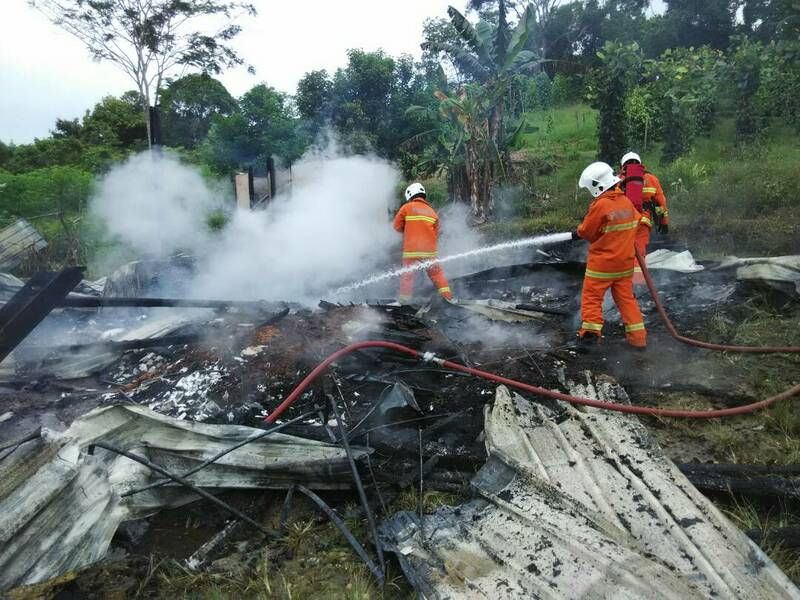 SARIKEI: A wooden house at Sare near here was destroyed in a fire on Saturday which left eight people homeless. Sarikei Fire chief, Suna Kaha said the eight were not at home when the fire occurred. He added that they received a distress call about the fire at 10.38am. “The house was completely gutted. However, the loss incurred and causes of fire are still being investigated,” he pointed out. Suna said following the distress call, nine firemen in three vehicles were dispatched to the scene. It is understood that Assistant Minister of Urban Planning, Land Administration and Environment, Datu Len Talif Salleh has contributed to the fire victims. A spokesman for the Kuala Rajang Service Centre, Allif Omar Yunus when contacted regarding the contributions said they have been given to the fire victims. “At the same time, the State Welfare Department has also been informed of the fire tragedy and has also extended assistance in the form of daily essentials. “Meanwhile, Member of Parliament for Tanjung Manis, Datuk Norah Tun Abdul Rahman has also contributed through her Tanjung Manis Service Centre,” Allif said. Eight made homeless in fire 0 out of 5 based on 0 ratings. 0 user reviews.